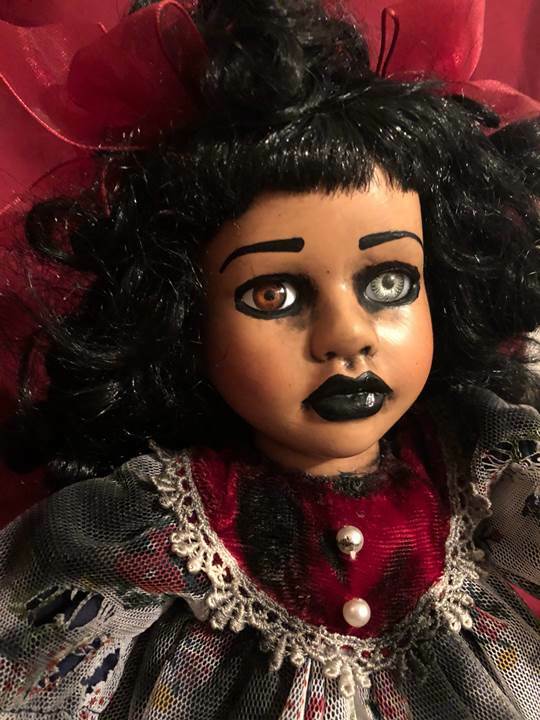 OOAK Small Moving Musical Sitting Creepy Horror Doll Art by Christie Creepydolls  - $65.00 : Mystic Crypt, the most unique, hard to find items at ghoulishly great prices! 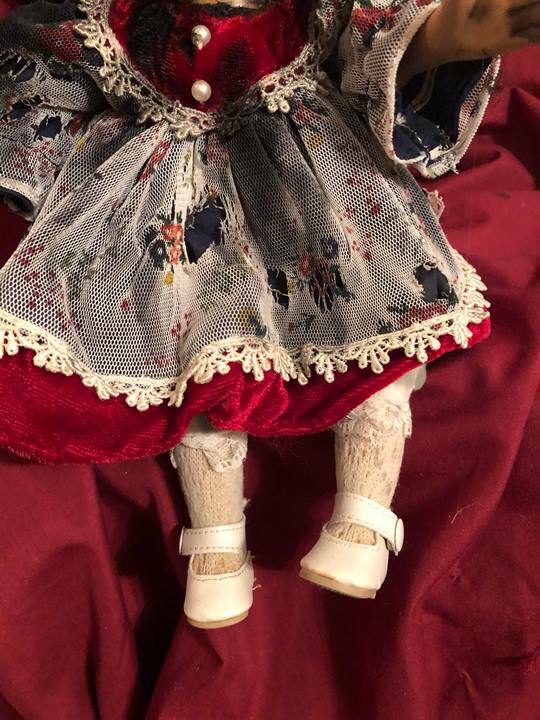 This is a creepy horror porcelain doll. 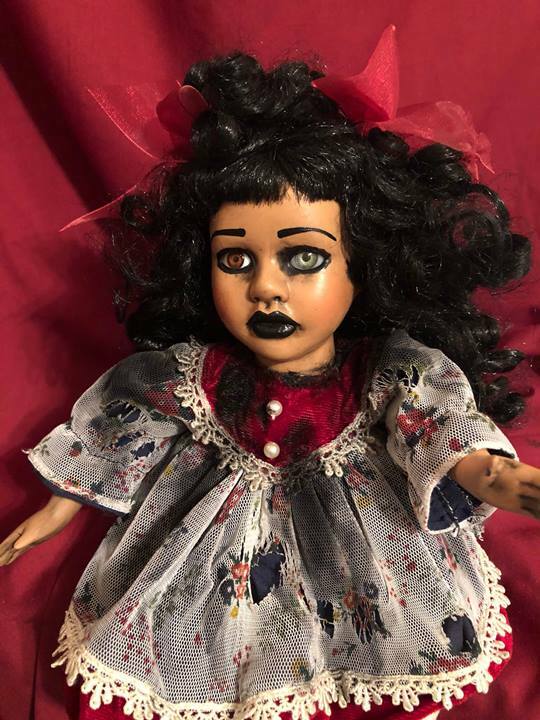 This doll has no cracks. This is a musical, moving, sitting doll! Pretty cool. She is African American, with one brown eye and one light blue eye. 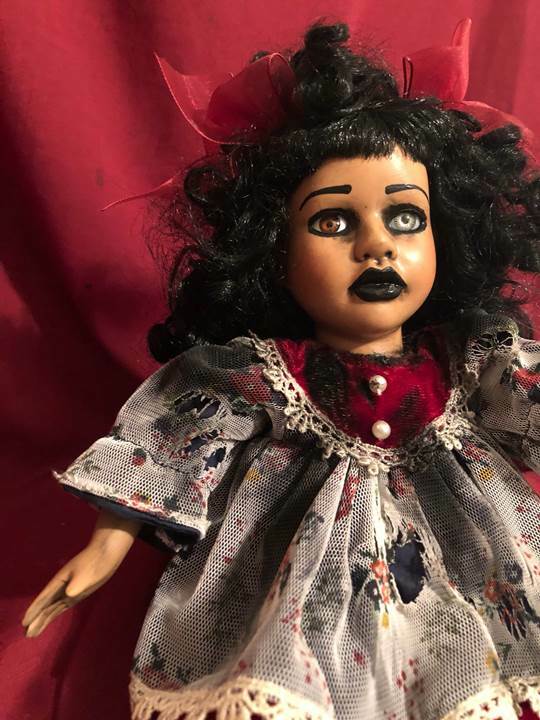 She has black curly hair and is wearing ribbons in her hair. She has black lipstick. 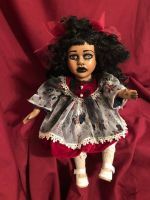 She is wearing a hand stained and dyed dress with maroon velvet and lace tulle overlay with tears. She is also wearing sewn in hand stained and dyed bloomers. She has on white shoes with socks. Turn the key in her back and she moves and plays music. 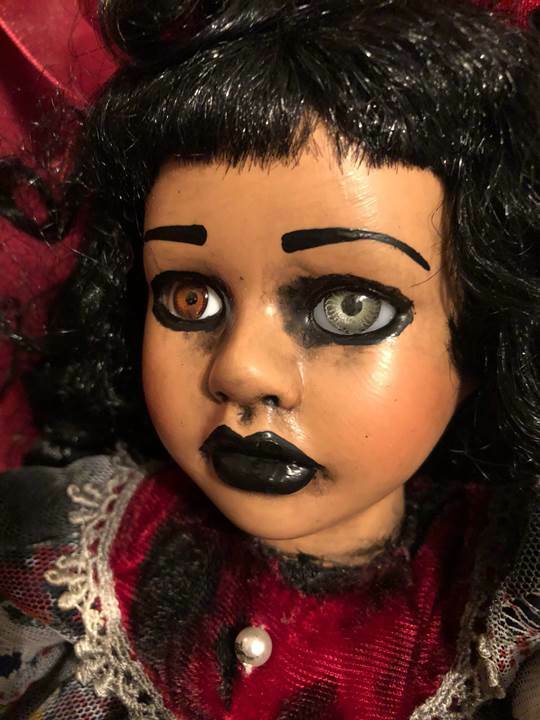 Spooky creative detail in this Halloween Repaint doll. 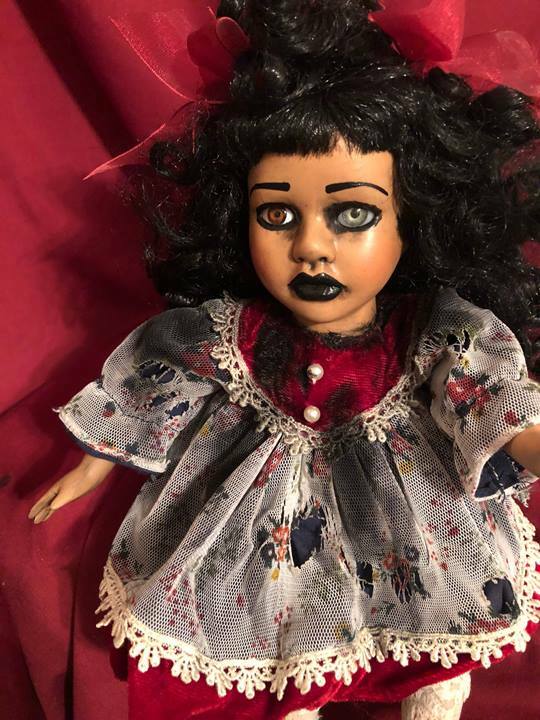 Art Doll will be signed on the body. 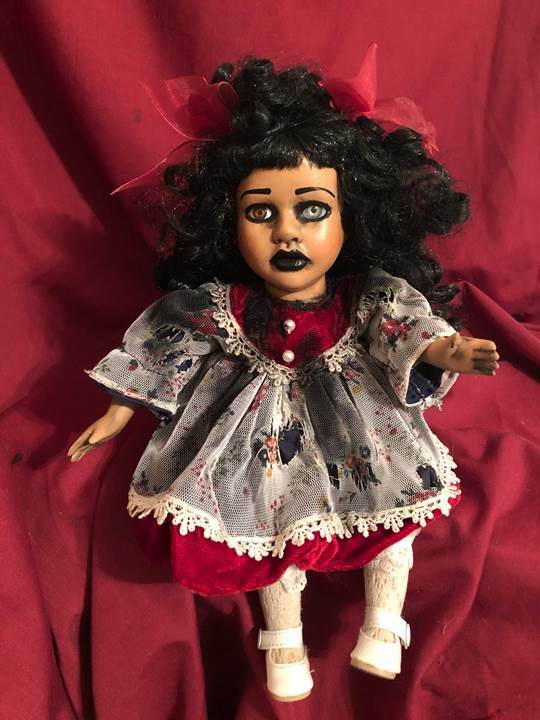 The doll measures approximately 11 1/2 inches tall, and 6 1/2 inches wide including her outstretched arms..